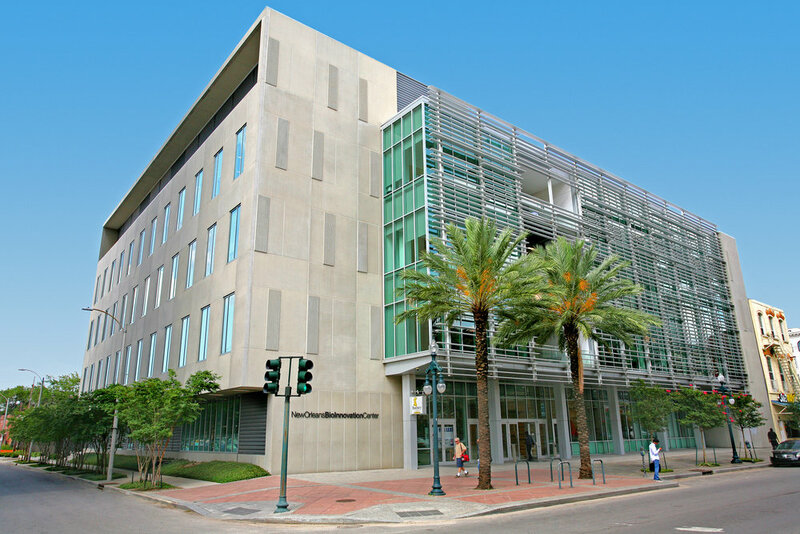 New Orleans BioInnovation Center — Morphy, Makofsky, Inc.
MMI was responsible for complete structural and civil engineering services for this project. 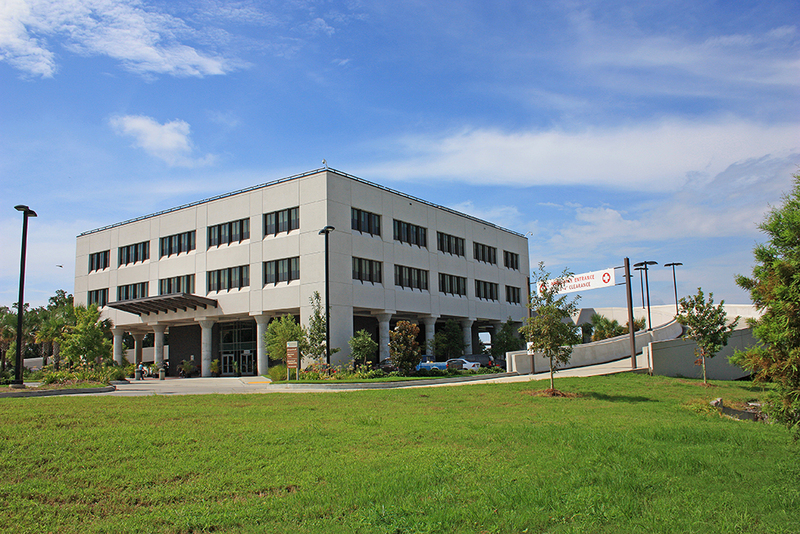 NOBIC is a 66,000 square foot, four-story facility that houses emerging biotech companies seeking to network with other local, regional, and national firms. The facility features a 3,000 square foot interior courtyard fronted by a transparent glass façade, while outdoor balconies on the upper floors allow for interaction with nature. The upper floors generally consist of structural steel composite beam framing. The first floor and foundation consists of both conventional and post-tensioned reinforced cast in place concrete. The piles employed in this design are 60 feet long 14-inch square concrete precast pre-stressed piles with a design load of 75 tons.